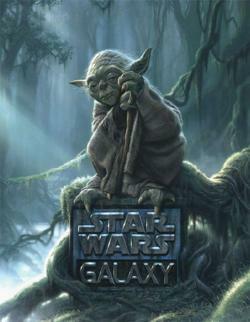 The third set since the brand's relaunch and sixth overall, the initial excitement for 2011 Topps Star Wars Galaxy 6 was somewhat reserved. However, upon its release, collectors quickly realized the set over delivered. Despite the promise of just one, most hobby boxes have two sketch cards. Combine that with the overall high-quality of the artwork throughout and you've got an extremely popular release. 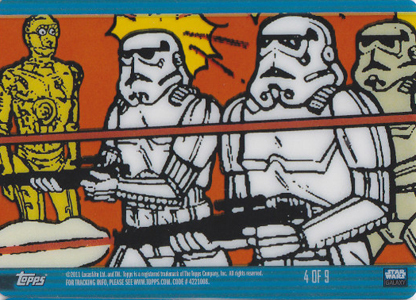 In fact, the secondary market have made unopened boxes some of the most valuable Star Wars trading cards of all-time. 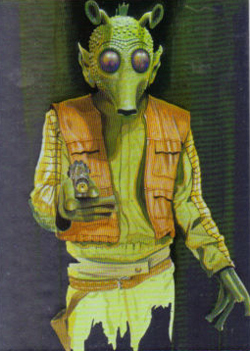 The 2011 Topps Star Wars Galaxy 6 checklist features 120 cards. Like other sets in the line, the focus is on art. A large roster of artists means a wide variety of styles and interpretations. All base cards are paralleled with four different printing plates. Each is a one-of-one. Every hobby box delivers at least one sketch card, however it's often two. The cards all have original art done directly on the card. Part of the set's popularity is the overall quality of artwork. For the most part, it is very strong with lots of highly detailed and color pieces. 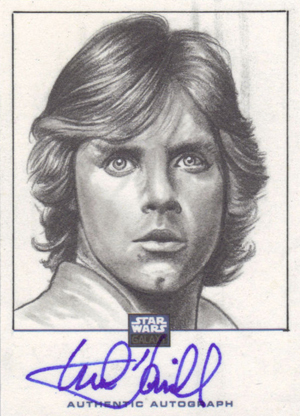 Besides traditional sketch cards, 2011 Topps Star Wars Galaxy 6 has a pair of specialty sketch card sets. Sketchagraphs have both original art and an actor's autograph. Signers include Carrie Fisher and Mark Hamill. Artists are among the best in the industry as well. 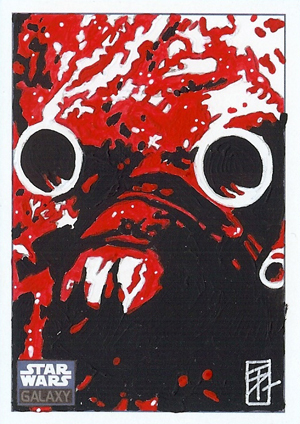 Die-Cut Sketch cards return. The cards are shaped like characters. Underground artists lend their talents to the cards, making for some truly wild pieces. 2011 Topps Star Wars Galaxy 6 has several basic inserts as well. 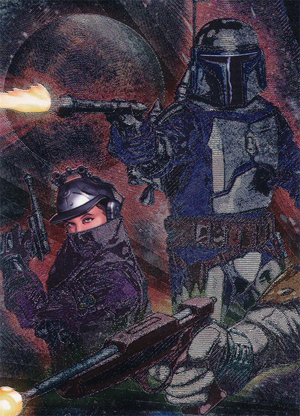 Brian Rood did artwork for a ten-card Foil set. The set has Bronze, Gold (#/600) and Refractor (1/1) parallels. Etched Foil Puzzle cards, a tradition for the Star Wars Galaxy line, return. Exclusive to retail packs are acetate Clear Cell cards, which use animation-style art. 48 Peace and Love, Man! 55 Who's Running This Show? 59 Destroy the Death Star! 104 Can Solo Be Saved? 105 Can Vader Be Stopped? 106 Will Fett Be Thwarted? Inserted 1:24 hobby packs. Each card features original art. Inserted 1:135 packs. Each card has original art and an actor's autograph. Actor autographs are listed below. Inserted 1:95 packs. 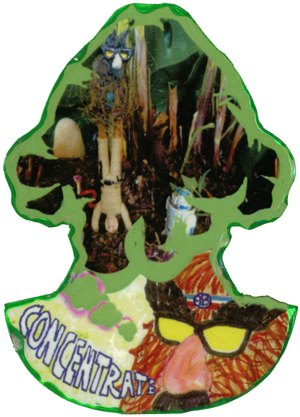 Cards are cut into character-based shapes and feature original artwork from underground artists.